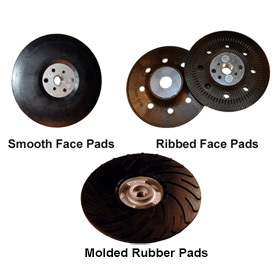 The pads on this page are premium quality thermal plastic, and are designed for homeowner, automotive, and all general purpose applications. The pads are Made in USA. Each pad is shipped with the retaining nut. For the severest duty use our "Spirub" molded rubber pads. Click on the sub-category in the left margin.